Persons who are members of rifle clubs who use the Anzac rifle Range Facility at Franklin Street, Malabar (Sydney, New South Wales, Australia) pay affiliation fees to the MDRA No.1 annually via their club membership subs. The MDRA No.1 is a non profit organization and the executive of the MDRA No.1 are nominated via their respective clubs to serve on the MDRA No.1 and co-ordinate shooting on the Anzac Rifle Range facility. Persons who are members of rifle clubs who use the Anzac rifle Range Facility at Franklin Street, Malabar (Sydney, New South Wales, Australia) pay affiliation fees to the MDRA No.1 annually via their club membership subs. 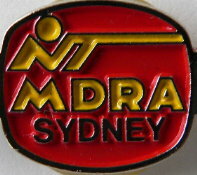 The MDRA No.1 is a non profit organization and the executive of the MDRA No.1 are nominated via their respective clubs to serve on the MDRA No.1 and co-ordinate shooting on the Anzac Rifle Range facility, fees collected pay for maintenance and up keep of targets, etc.